Hostal Casa del Angel v Guatemala City, Guatemala: Zarezervujte nyní! Cancellations 1 week prior to arrival. No refund for cancellations made after. Thank you for considering Casa del Angel for your group travel plans. Please let us know by email your exact arrival time, airline and flight numer (if applicable) and any additional information you require. We are commited to making your stay a pleasureable one! 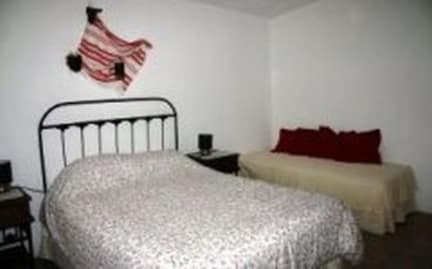 Small, peaceful and cozy B&B located 1 min from La Aurora International Airport. 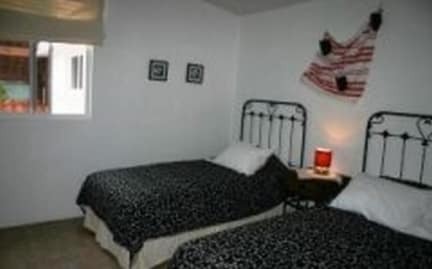 We offer single, double and triple rooms with cable TV, private bathroom and hot water; free internet access; linens, towels and continental breakfast included. We are conveniently located, close to all main city and tourist attractions like: The Arts and Crafts Market, where local handcrafts and souvenirs can be found; night life attractions and stores are within a 10 minute drive. Tours to all main tourist attractions are also available, and can be arranged with hotel personnel. Casa del Angel is THE perfect place to stay, whether you are visiting Guatemala for a night's accommodation or a longer stay. Advice about arrival time, flight number and airline.